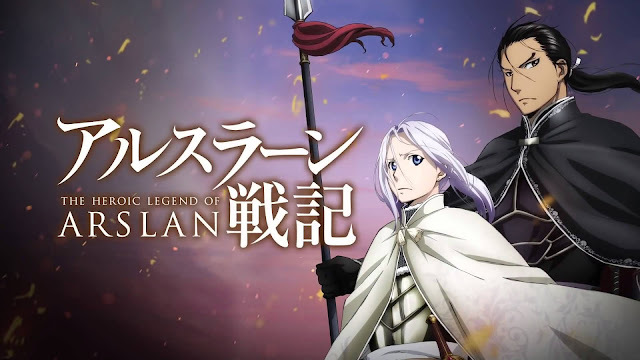 My first impression of Arslan Senki is that it will be a great war epic anime, with amazing storyline, witty stratagem and intense political dispute. For some part it does achieve my expectation, but the pacing and the way they deliver the overall story (plus the lack of fluid animation) kinda put me off a little. 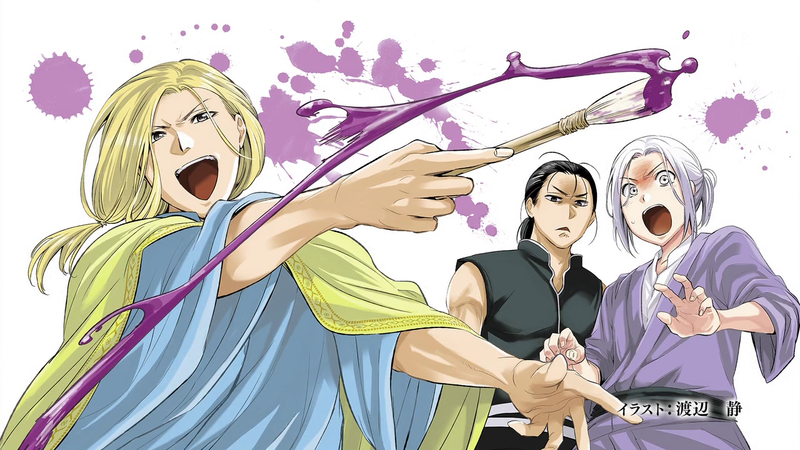 It is by no mean a bad anime, in fact it is a considerably decent anime. The story alone feels rather straightforward, an outcast young prince on his quest to reclaim back his kingdom. We already knows how the anime will eventually end, from the title itself and repeatedly same tag line; "And thus, the boy would become king". What matters most is how he will eventually become a king. The earlier part of the story is actually interesting. 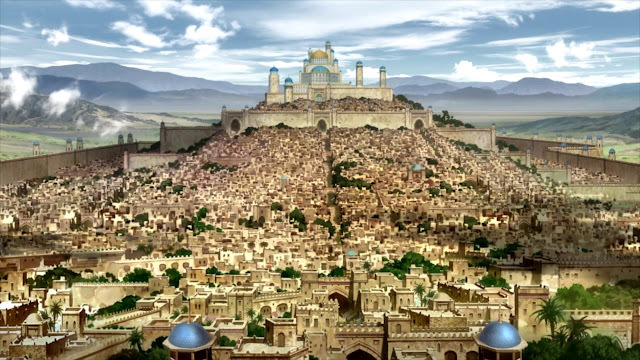 It begins with the downfall of a powerful empire, and how a prince got turned into an outcast. He eventually gathered trustworthy companions along the way, and slowly but surely recover their strength to reclaim his rightful throne. The second part of the story falls a little, where he eventually tries to intervene with another country inner conflict. 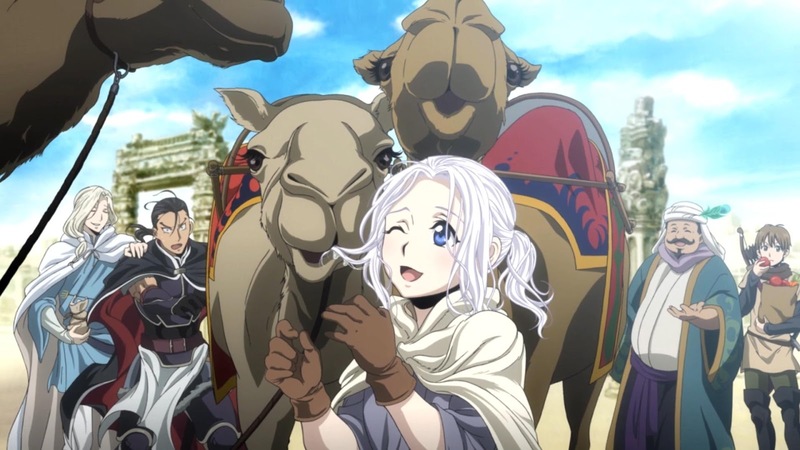 The conflict in itself mirrors what Arslan is had, which is actually a great way to expand the story, but nevertheless it dragged too much. There is also a tinge of romance in the anime, which hopefully would be addressed much more later on. The final confrontation in the first season of the anime seems anti climatic, yet hopefully this is just a way to build up the foundation for the upcoming second season that hopefully will bring this journey to a beautiful end. The most important aspect of the anime is how they portray the effects of war as well as social, political and religious issues. They manages to capture this perfectly; from the death of innocent peoples, public display of fallen warriors and burning of valuables texts of knowledge. Slavery was a big deal in the past, portrayed in the setting of the anime and our protagonist repeatedly brings this subject in important scenes. Likewise, religious matters was brought up, on how it is used as a tool of war itself in the early part of the anime. It does however got lost in the middle before eventually resurfaced in the latter part. The characters design are great, but the development for the supporting characters are done poorly. 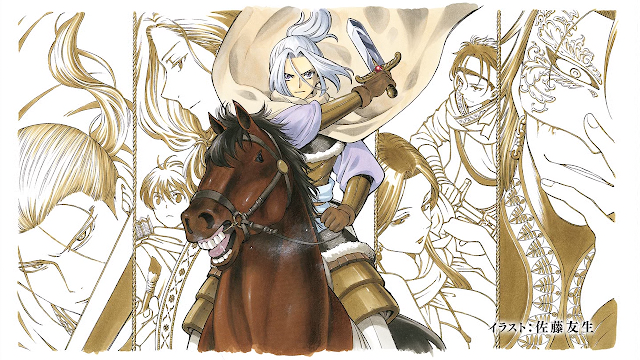 The story centre around Arslan, the main protagonist. 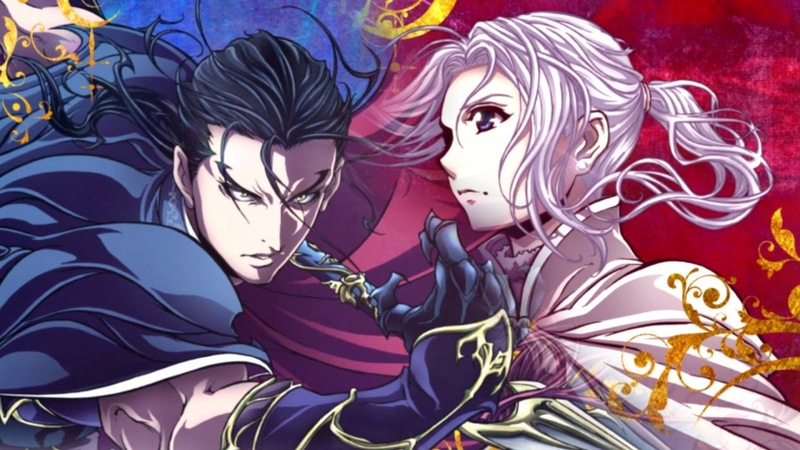 He is a gentle, kind prince with a bishonen features that earlier reflects his naivety and pure nature, but as the story goes on he becomes a lot more mature and realise his important responsibilities and duty as a ruler. His strength however does not come from his skills, brain or physical feats, but rather from his ability to depend and gain trust of his subordinates. 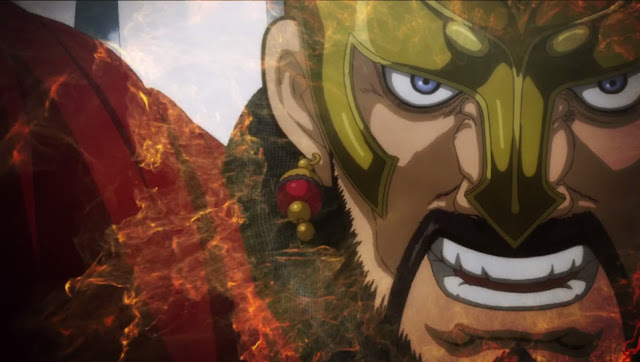 His sword are Daryun, a man with superior fighting skills in the battlefield that follows him with unbroken loyalty. His brain is Narsus, a brilliant man that specialise in cunning and 'out of the box' strategies to outsmart his opponent. There are several other companions that aid him, and each of them plays a role however minor to aid the young prince. The only problems that was addressed earlier is the lack of side character development. Daryun and Narsus for example, eventhough played a huge role, shows little to no character background. Daryun loyally follows the prince but there is of course not much reason of why he does so. It could be said the same with the other characters. The main antagonist however is one of the most interesting character in the anime itself. He is scarily powerful, maniacal even and his pursuit of revenge is done with a somehow understandable justification. He is relentless in his goal, yet he is not totally infallible as he is still haunted by his past trauma. He heavily contrast the protagonist and is indeed a worthy opponent for the young prince. Animation wise, it was below average. It suffers from quality issue time to time, and the action heavy scene like the fight scene was done poorly. The most annoying thing about the animation however, is the heavy use of CG for war scenes. Though it is understandable that they had to use it to simulate large scale battle, it is really unsettling to look at the same faced soldiers over and over again, each with quirky animation and out of the place shaders. The music however was above average, with great orchestral piece during important scene and decent OP/ED songs. 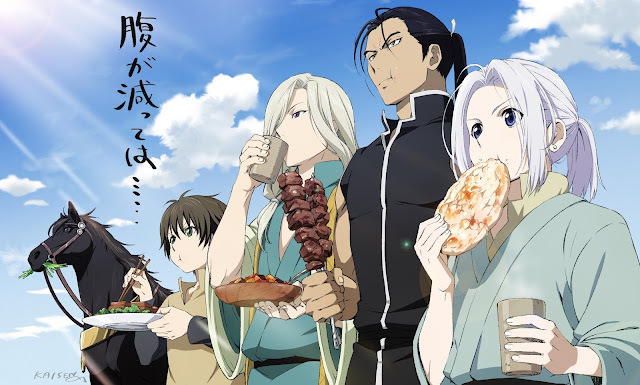 Overall, it is still an enjoyable anime if you prefer an anime with rather heavy and serious theme. This is an anime that would be perfect for people who like to think and tackle important social, political and religious issues. It does feel rather lacking however, since the whole first season focuses solely on explaining the setting and building the foundation for the latter part of the series itself.